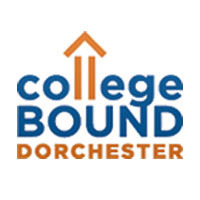 Endeavor Capital is proud to make a donation in support of College Bound Dorchester. With a mission to equip students with the attitude, skills and experience to graduate from college, College Bound Dorchester’s work is creating opportunities for their students and building a brighter future for communities. Their approach is two-fold, focusing on both prevention and intervention to establish a continuum of services for the community. Using this model, they are able to ensure students remain on track and help those who have disconnected get back on the path to college graduation. College Bound understands how vital it is to go beyond individuals to transform the entire community.